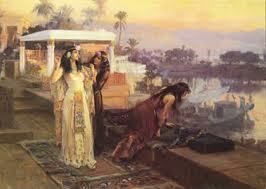 They say that perfume was an essential part of Cleopatra’s life. Isn’t it fascinating to imagine that when Julius Caesar or Marcus Aurelius travelled miles to lie down in her bed they were guided by a delicate fragrance veil created especially for them. When these historical powerful men, whom we know from stone sculptures and monuments took off their armor and put their nose in the neck of the Queen of the Nile… they were embraced by the scent of… roses. Cleopatra used fresh roses. It is said that she slept with rose petals in her bed and sprinkled them all over the house while waiting for her lovers. Her beloved Marcus Aurelius is said to have been welcomed by Cleopatra on a ship with perfumed sails, and for their intimate nights she bathed in saffron water, which would give her skin an aphrodisiacal scent.